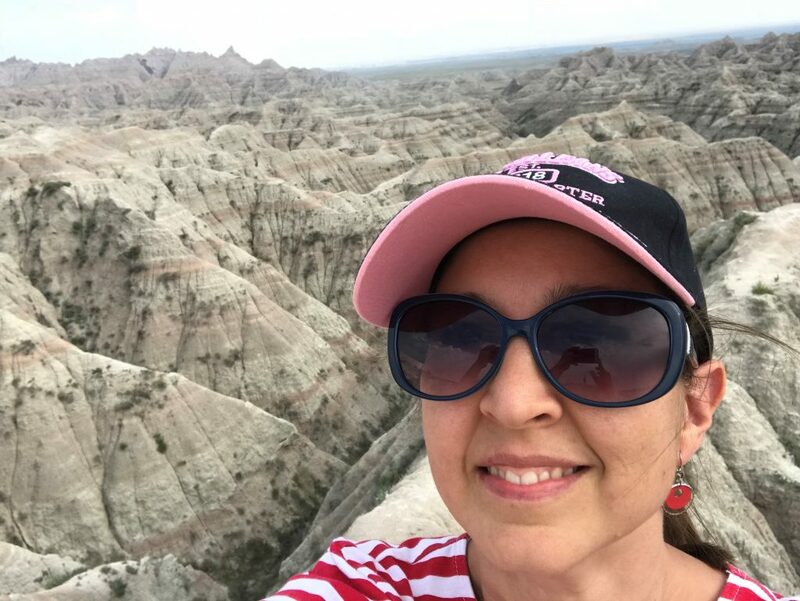 Are you considering taking a road trip to South Dakota in your RV? 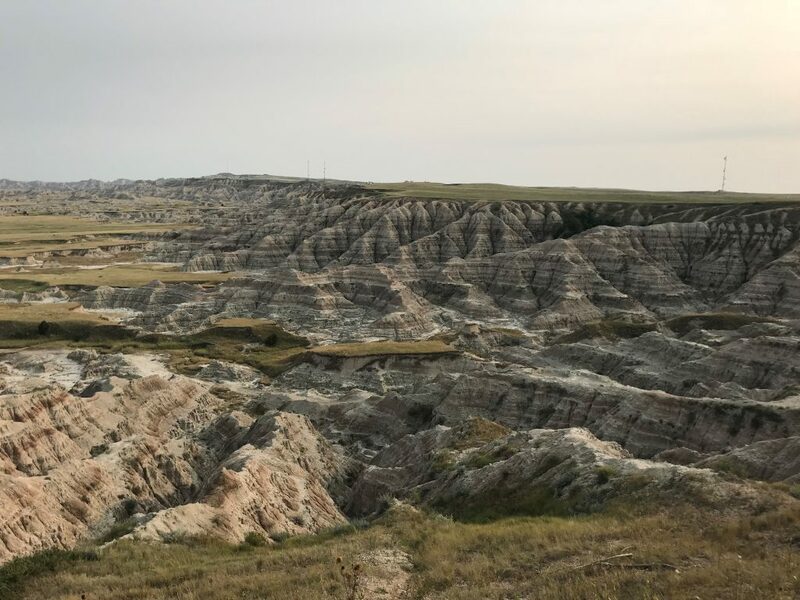 Get off the campground online reservation system and just make plans to boondock at Badlands National Park. The views are breathtaking, the wildlife is abundant, and the experience is invaluable. Once you’ve stayed here, you’ll cringe at the thought of having to pay campground fees or being in a campsite only 10 feet from your neighbor. Back in June, we dry camped at Cosby Campground in Tennessee for 4 days. 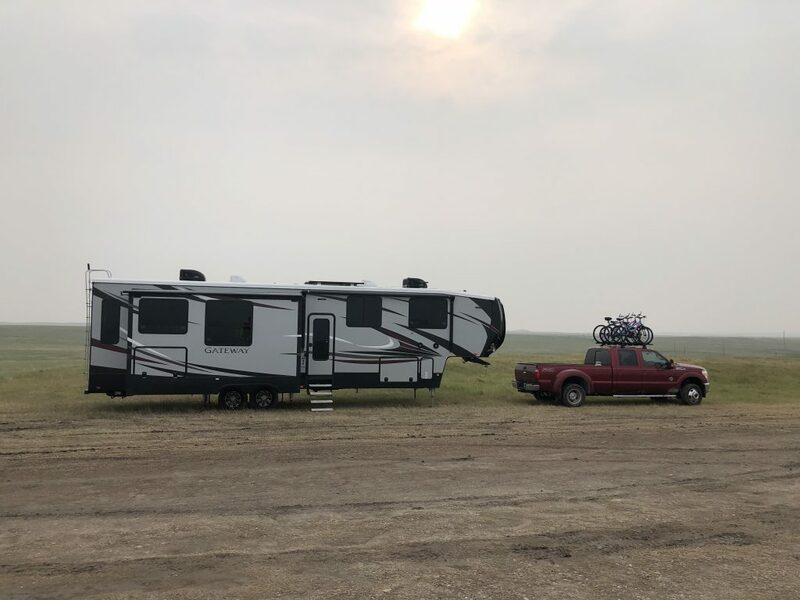 Now we’ve boondocked for almost 2 full weeks just outside of Badlands National Park. Nothing like jumping in with both feet, right?!? It has definitely been an experience. If you are not familiar with the terms dry camping and boondocking, they are pretty much the same and often used interchangeably. However, dry camping is actually camping in a campground without hookups whereas boondocking is camping without hookups outside of a typical campground setting. 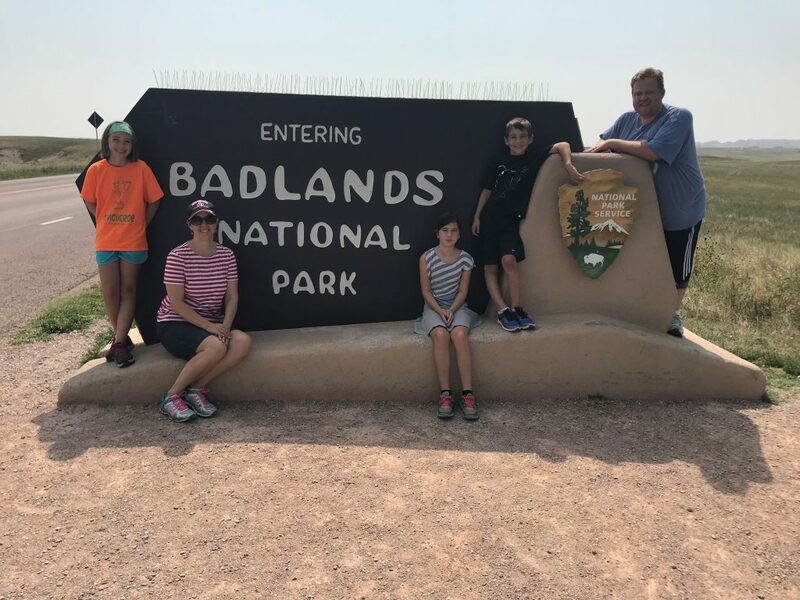 As I said, we are at Badlands National Park in South Dakota, but we are not actually IN the national park. 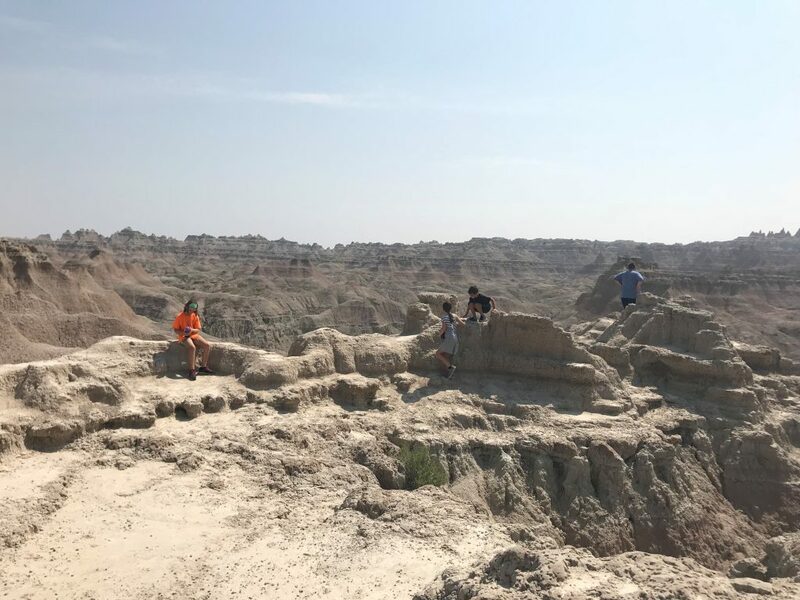 This camping area is actually on the outer ridge of the Badlands just a minute or two from the north entrance of the park. When coming south from Wall, SD towards the north entrance, you will see three large towers (possibly cell and/or radio towers): one on the right and two on the left. There is a gated, dirt road that leads straight to the two towers on the left. You really can’t miss it as you will see several RVs parked sporadically up the hill. Once through the gate, follow the dirt road up the hill. You can choose to go right or left at the fork in the road and pick a campsite. Boondocking in this location is FREE and camping spots are pretty much unlimited. The roads getting to the campsites are dirt roads (and very muddy and slick after it rains). The campsites themselves are on the grassy areas. There are no electric, water, or sewer hookups. Cell signal for both AT&T and Verizon are very good! When we first arrived, it had been raining and the road was extremely muddy. So we went right at the fork in the road and stopped on a grassy area just as you turn. I was just glad we made it up the mud road and into a spot without getting stuck. It was also the closest spot we could find that still had a decent view. 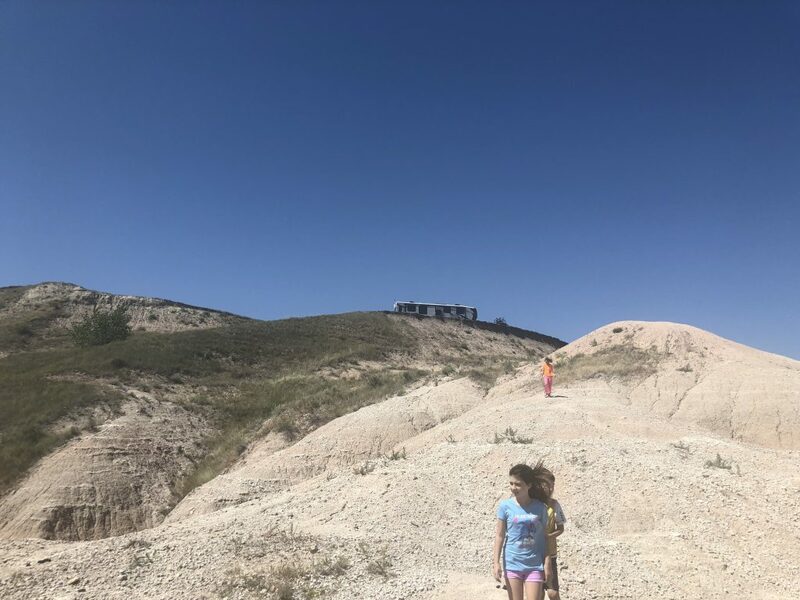 Our site ended up being further back from the ledge overlooking the Badlands than many other RVs, but we still really enjoyed the wide open view we had. As the week went on we realized that almost everyone that comes in to find a spot turns right instead of left. This meant that we were in a heavy traffic area. We decided later in the week when it was time to run to town to refill our tanks with water, we would find another site. During the week we hopped in the truck and drove around looking at all of the other campsites to get an idea of which ones we wanted to keep our eyes on. These potential sites were all to the left at the fork in the road. We found about 3 that we stalked for a few days crossing our fingers that the current occupants would leave so we could snag one. One huge site with a fire pit made from rocks and an amazing view finally became available on a Monday. Yay! Brent and I loaded up the kids, some of our homeschool curriculum, our bikes, and our camping chairs and went over to the site to claim it. He dropped us and our stuff off to hang there for a little bit while he went to town to dump waste and refill our tanks with water. We like this spot much better! We get up some mornings and see bighorn sheep grazing right outside our windows. They also go down the hill near our camper and sunbathe out on the mounds. The kids have a big area to play, including the hill where they can hike down from the campsite. 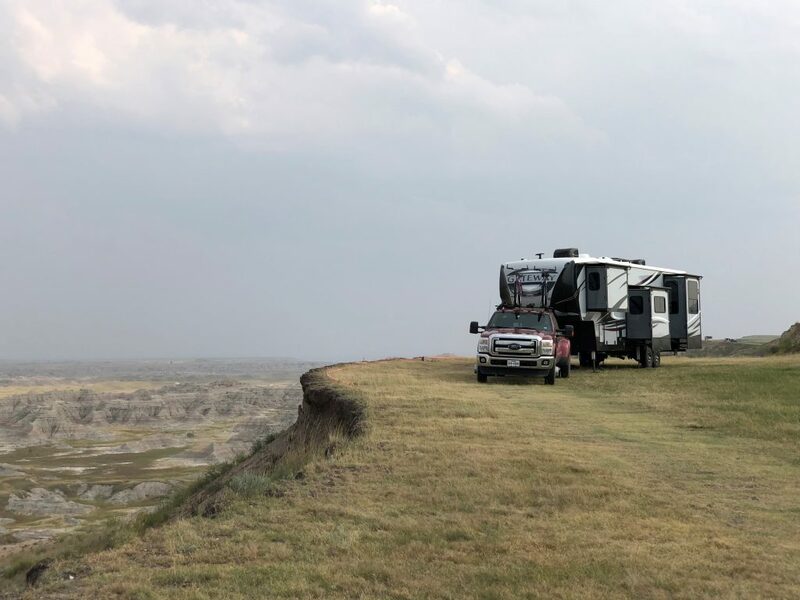 While there is not much of anything to do at these boondocking spots other than watch the wildlife, enjoy the amazing views, and relax, there are a few things in the area that you can do while here. The town of Wall, SD is only about 10 minutes away. 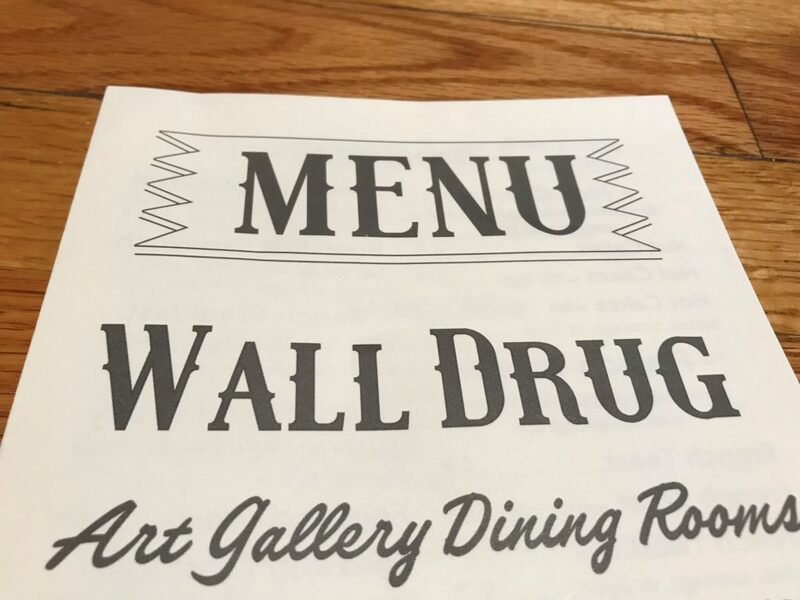 They are known for the famous Wall Drug. If you’re looking for souvenirs, this is the place to go. They’ve also got a really yummy ice cream shop and some pretty good donuts. 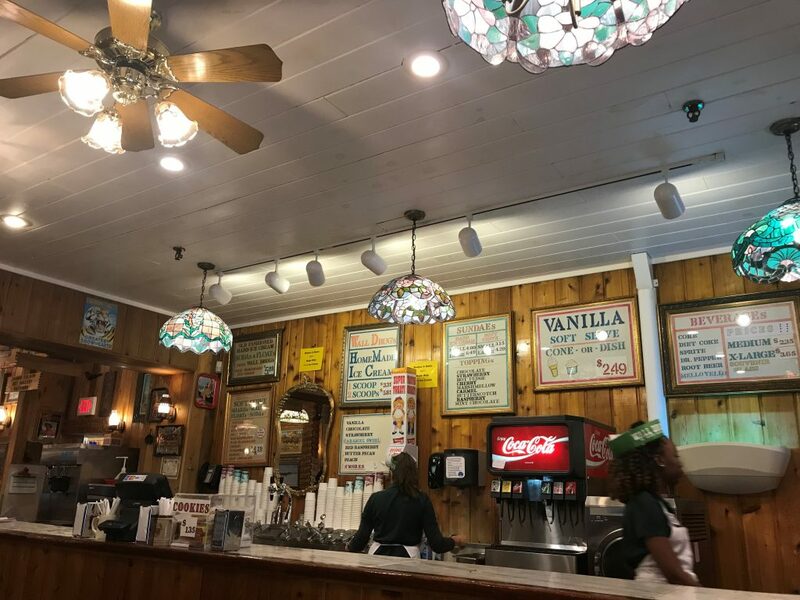 Their food is only about as good as any local cafeteria food would be, so don’t get your hopes up for anything spectacular. 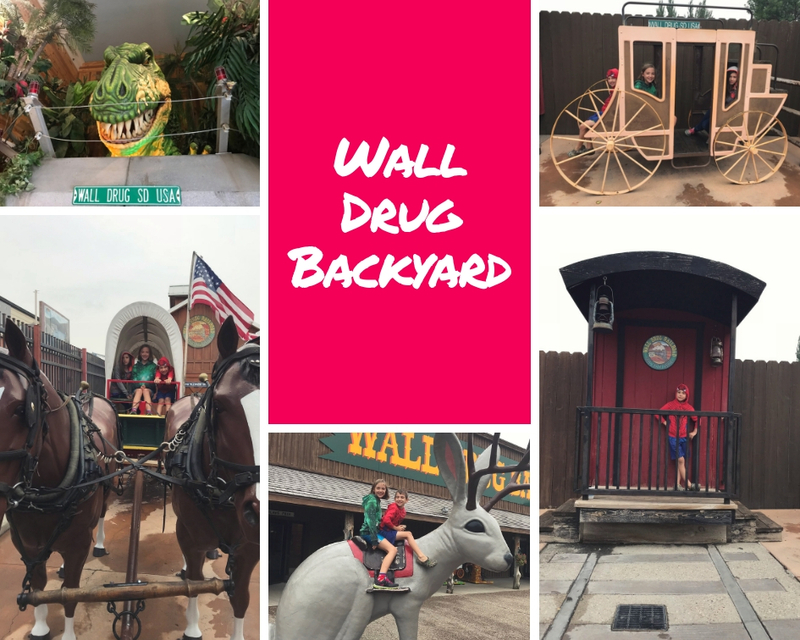 If you have kids, make sure to check out the Wall Drug Backyard. From a stagecoach to a giant bunny, and a singing gorilla to a T-rex, our kids had so much fun running around climbing on things and getting pictures taken. It’s a nice free activity that will occupy the kids for an hour or so. Just outside of the Badlands National Park is the Minuteman Missile National Historic Site. 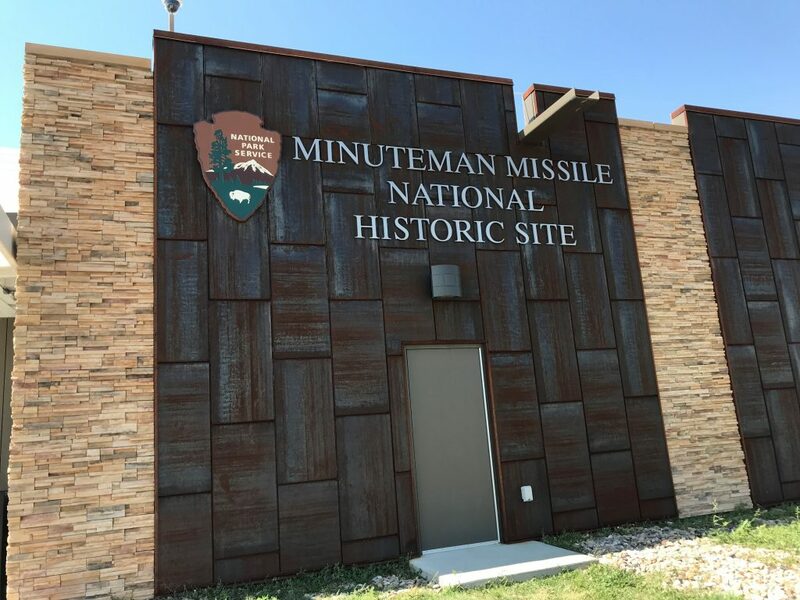 Stop in for a quick video about the history of Minuteman and the missile sites that are hidden in plain view. 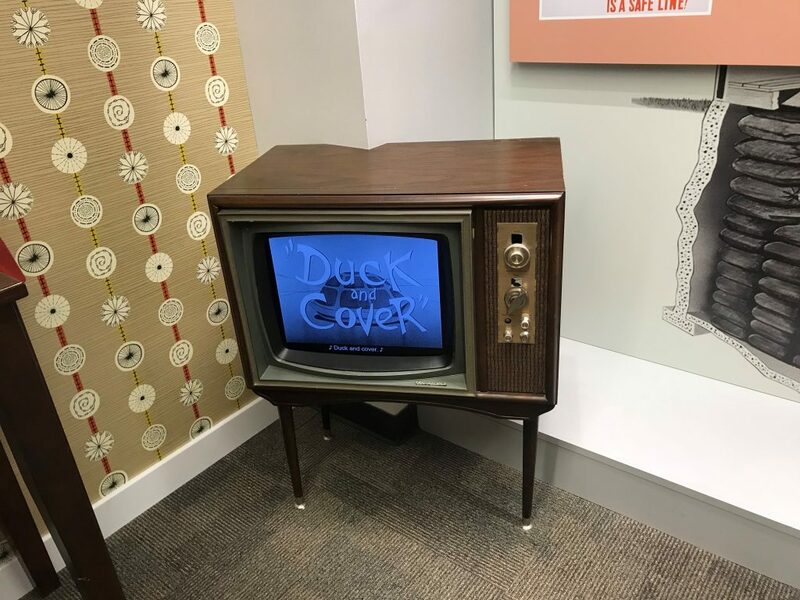 Tour the small exhibit explaining the missiles, Minuteman, and how kids were trained to “duck and cover.” And if you have kids, make sure to grab the Junior Ranger workbooks and give them an opportunity to get their Junior Ranger badges. Despite boondocking on the ridge of the Badlands, you’ll still want to hit the National Park. There are trails you can hike until your heart’s content, views that are even more breathtaking than at your campsite, and wildlife that you may see in abundance. Stop at each of the scenic overlook areas. These are great opportunities for photos! And don’t be afraid to get out onto the rocks. 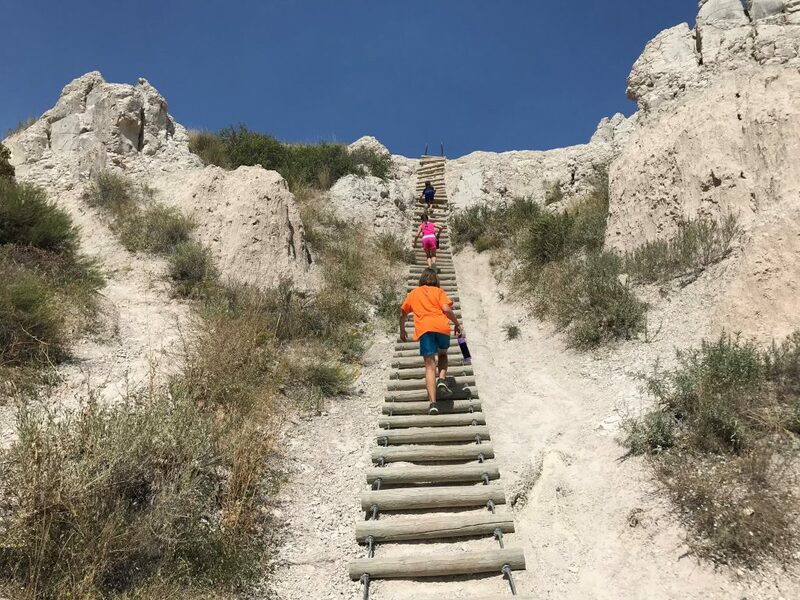 If you like hiking, there are tons of trails to hike in the Badlands. We chose to hike Door Trail our first visit and Notch Trail our second visit. 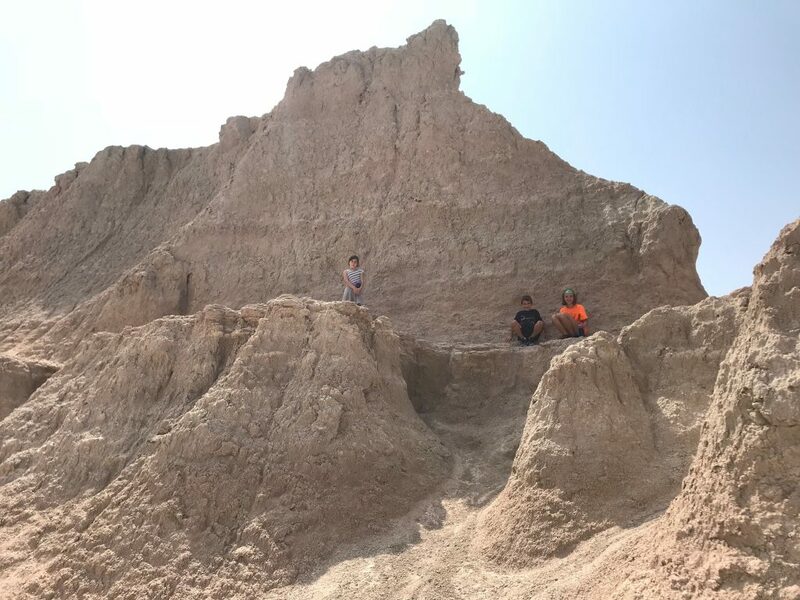 There are lots of places along the Badlands loop where you can let the kids out of the car for some fun rock climbing. And did I mention the wildlife? 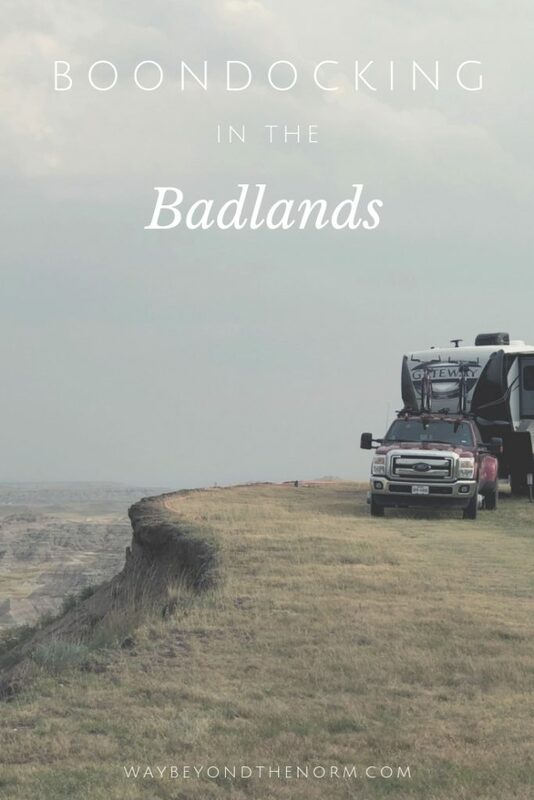 We’ve really had the time of our lives boondocking here at the Badlands. We’ve done quite a bit and yet there’s still so much more to explore. The entire family has given this area two thumbs up! And while we are going to move on to the Keystone, SD area next, we will definitely be making plans to return to the Badlands in the future. 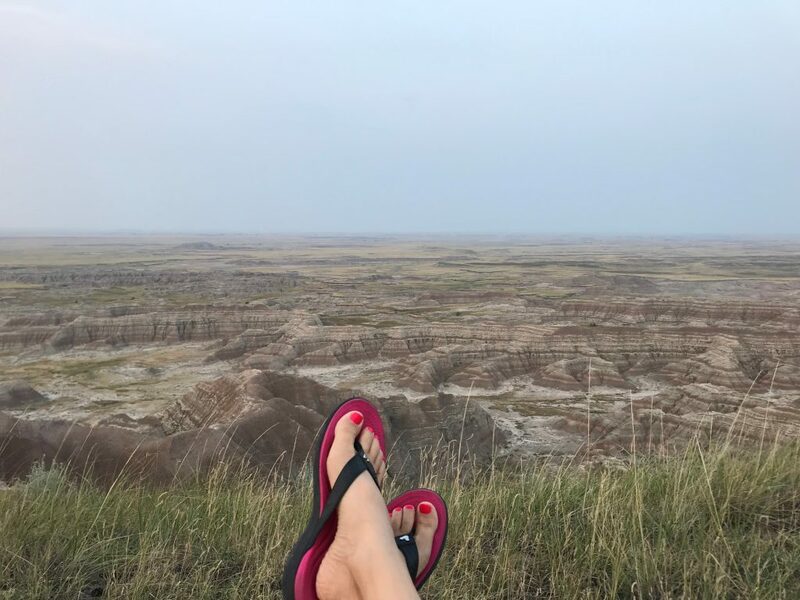 Have you considered visiting the Badlands or have you already been there? Did you take your RV? We love hearing about other’s experiences, so please share them in the comments below! I made the trip many years ago and remember driving in with grassy areas all around. As we came over a rise, the Bad Lands opened before us with the most beautiful views we had ever seen. At the time, my oldest daughter was 5 and she joined her mother, dad and grandmother in complete awe. Very beautiful views! My hubby is itching to go back. It’s his favorite place on our journey so far. Sounds like you can remember it like yesterday! We have not been to Badlands. Thank you for the tips. It is on our list of places to visit. 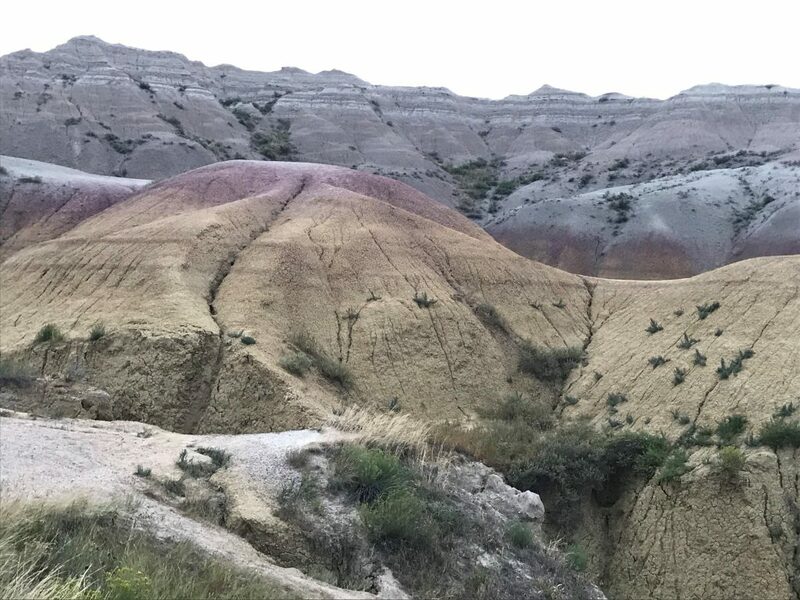 The Badlands are AMAZING! A definite must do for anyone traveling. Wow! Those views are absolutely breathtaking! Aren’t they! It’s a must do for everyone! What an amazing landscape! 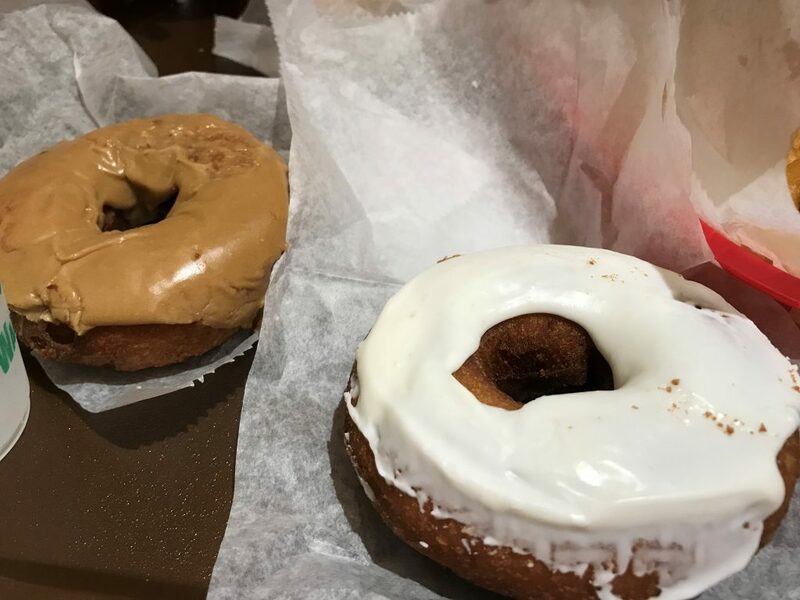 (and those donuts don’t look too bad either). We went to South Dakota when I was a kid but all I (vaguely) remember is Mount Rushmore. Definitely worth visiting again! Yes! Go back again! We loved South Dakota. 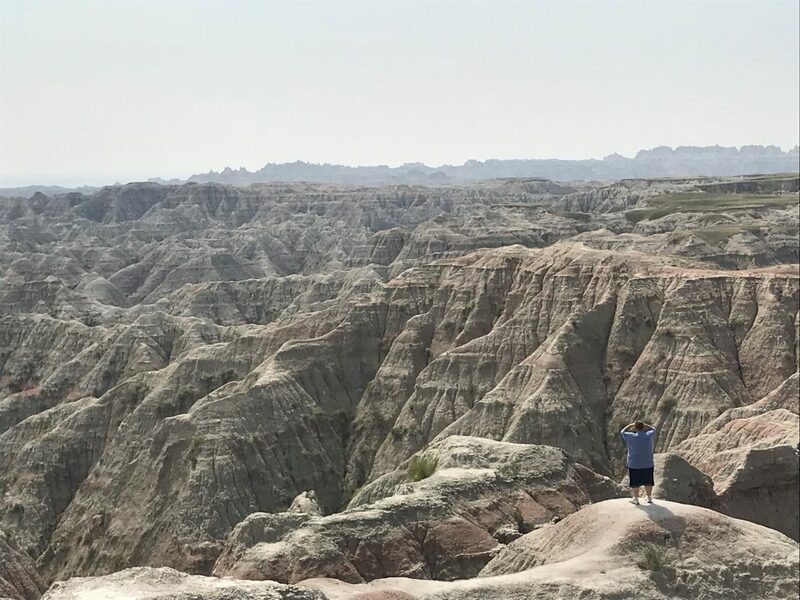 Mount Rushmore was great, but the Badlands were so interesting. It’s crazy how much the landscape can change in just a matter of an hour between locations. I love boondocking! This looks like such a fun trip for the whole family. I’m glad you all had a great time! I can’t say I LOVE boondocking, but I am definitely warming up to it. It’s easier than you’d think it would be. And I would do it for more views like this. What amazing views! I’ve heard of Wall Drugs and it’s on my list of places to see someday. we really need to get out West – your pictures are inspiring me. I’m so glad! You definitely need to head out west. Wall Drug wasn’t as spectacular as everyone makes it out to be, but it’s worth stopping in once or twice. If you stay in the area, it’s about the only thing there anyway. LOL. I love the views and the videos! The sheep and Buffalo just hanging out is so cool! Right!?! Animals are amazing! And the views too.